Palazzo Altemps in Rome is a museum of Classical sculpture, part of the National Roman Museum network, and a 15th and 16th-century palace near Piazza Navona. Palazzo Altemps is a large Italian Renaissance style building located on the western edge of the ancient Campus Martius, close to the Tiber River’s Lungotevere Marzio embankment. The palace was originally built by Girolamo Riario, Lord of Imola, in the second half of the 15th century, after a design attributed to architect and painter Melozzo da Forlì. 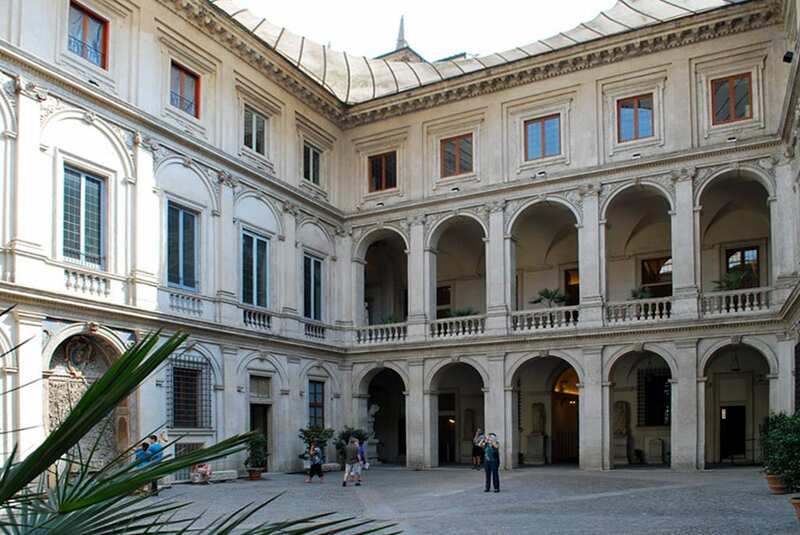 The beautiful late-Renaissance courtyard was built some years later by the new owner of the palace, Cardinal Francesco Soderini, possibly after a design by Antonio da Sangallo the Elder. In 1568, the property was acquired by Austrian cardinal Mark Sittich von Hohenems Altemps (also known as Marco Sittico Altemps) who further enlarged the building and installed his collections of antiquities and rare books in the palace. Acquired by the Italian State in 1982, the palace was then converted into a museum and opened to the public in 1997. 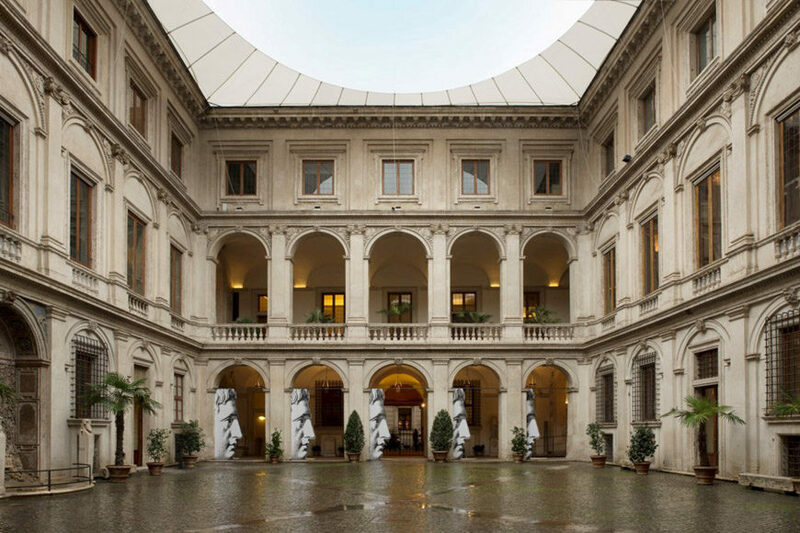 Palazzo Altemps, Rome, view of the Renaissance-style courtyard whose design is attributed to Antonio da Sangallo the Elder. Photo Frederik Debrabandere. 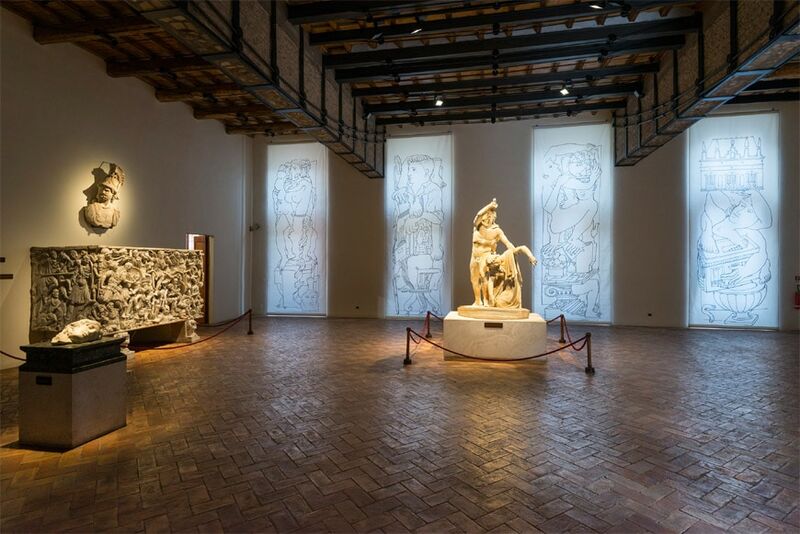 The art collection of Palazzo Altemps mostly consists of ancient Roman and Greek sculptures – statues, bas-reliefs, statuettes, and sarcophagi. The artworks are exhibited in the richly-decorated rooms of the palace, thus creating a fascinating combination of antique sculpture and Renaissance architecture. Notable works on exhibition include the Ludovisi Throne (V century BC, Greek), Orestes & Electra (2nd century BC, Roman), the Ludovisi Ares (2nd century BC, Roman copy of a Greek original), the Juno Ludovisi (1st century AD, Roman), The Galatian Suicide (2nd century AD, Roman copy of a Hellenistic original), and Athena Parthenos (1st century BC, Greek copy of a famous sculpture by Phidias now lost), among many others. Along with the sculpture collection, it is also worth mentioning the decorative apparatus of the palace, which also includes a number of remarkable fresco paintings by Mannerist artist Antonio Viviani. Fully accessible to physically-impaired people, the museum also contains spaces for special exhibitions and a bookshop. 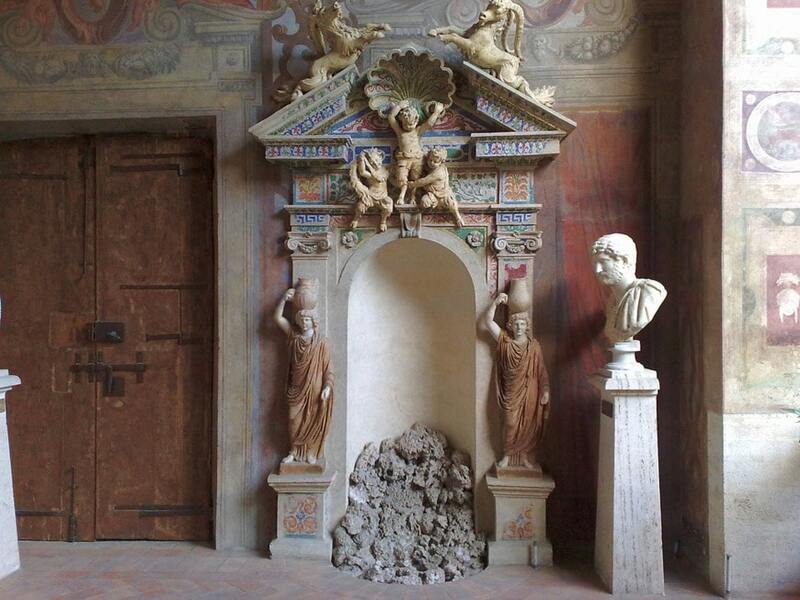 Palazzo Altemps, interior view; photo Blubrando. The portico on the ground floor. Photo Dvdbramhall. 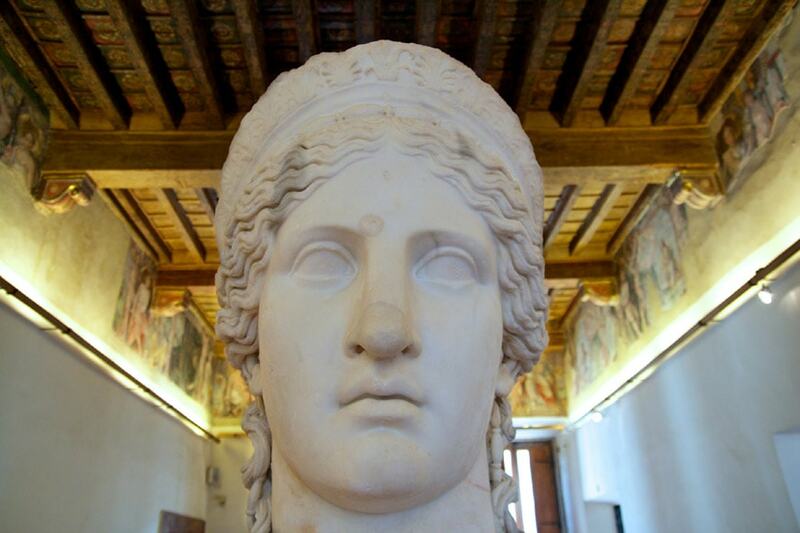 Colossal head of the Juno goddess, known as Juno Ludovisi or Hera Ludovisi, marble, 1st century AD: photo Patrick Rasenberg. The “Hall of the Galatian” during the exhibition ” Fornasetti at Palazzo Altemps”, 2018; © Electa, photo S. Castellani. 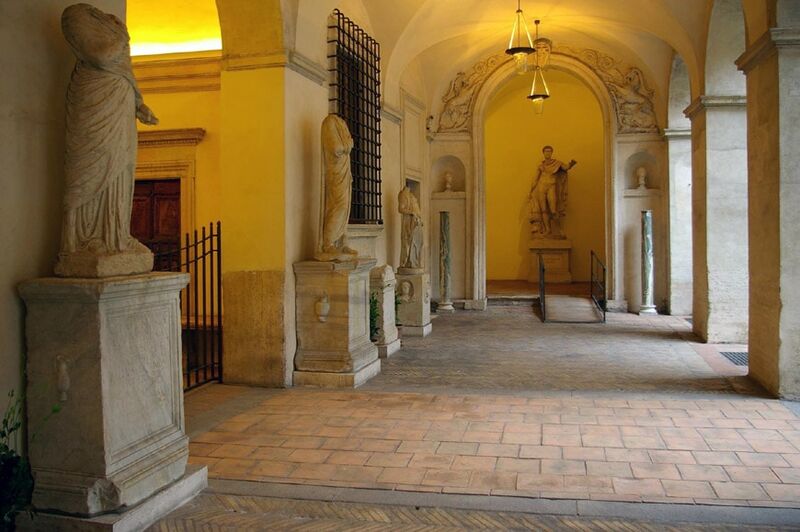 Cover image, the main courtyard of Palazzo Altemps in Rome © Electa, photo S. Castellani.